Members Provide Detailed Feedback at all 20 Northeast Credit Union Branch Offices. Andover, MA — Northeast Credit Union recently upgraded its new HappyOrNot Touch member satisfaction terminals to all of its 20 branch locations throughout Maine and New Hampshire. The upgrade follows 3 years of using the HappyOrNot standard terminals. The new HappyOrNot Touch model is a 3-tier, tablet-based version that enables members to enter detailed comments while at the branch office. The terminals also provide follow-up categories to personalize the responses, such as “Wait times”, “Employee professionalism”, “Loan rates”, etc. for the member to choose from as part of the feedback process. The Touch model is polled every few minutes which makes member input available to NECU’s execs and branch managers almost immediately via the HappyOrNot’s Internet and Mobile Reporting portals. Additionally, an NECU administrator can change the questions and categories within minutes at all 20 branch offices via the Internet. Northeast Credit Union opted for HappyOrNot’s custom branding option which enabled artwork that the credit union designed to be displayed on the terminal. “We were looking for ways to provide artwork and messaging within our branch offices, and the custom branding option was an inexpensive way to accomplish this” says Pruna. The HappyOrNot terminals are supplied and supported by DoublePort, LLC, and authorized HappyOrNot partner and reseller that sells to financial institutions across North America. DoublePort LLC is a global business development, reseller and integrator of hi-tech productsand solutions. The company specializes in sales of HappyOrNot products to the financial industry including banks and credit unions. For more information, please email sales@doubleport.com or call 978-474-0187. Andover, MA — Credit unions across North America are opting for the custom branding option that HappyOrNot is offering with their new Touch terminals, and the results are an array of innovative, colorful displays for branch visitors to enjoy. capabilities. After responding to the initial question on the screen, members can choose from a list of categories selected by the credit union (i.e. Wait times, Employee professionalism, Loan rates, etc.) and then enter detailed comments. detailed feedback from our members” says Howard Meller, CEO of GHS Federal Credit Union, headquartered in Binghamton, NY. “The colorful branding helps us promote our messaging and attracts our members to use the terminals.” GHS FCU had previously used the standard HappyOrNot terminal for 3 years prior to recently upgrading to the new Touch model. DoublePort LLC is a global business development, reseller of HappyOrNot products. . The company focuses upon the financial sector (banks and credit unions) for HappyOrNot. For more information, please visit doubleport.com. terminals, a 3-tier, tablet-based version called the “Touch”. The results have been immediate and rewarding to HVB. 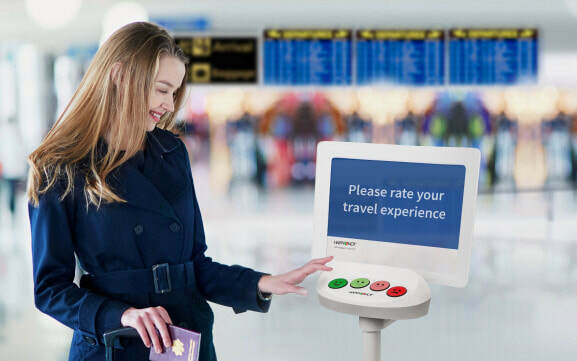 HappyOrNot’s new Touch model is a 3-tier, tablet-based terminal that invites members to rate the service they received by pressing one of four Smiley face buttons. The member can select a category and type in a detailed comment. The results are available within minutes via the HappyOrNot Reporting System and in summary form the next morning via highly graphical reports that are automatically emailed to the execs. Because the member feedback is very current member issues may be addressed while those activities are still fresh in the employee’s minds. The HappyOrNot Reporting system also provides a myriad of report generation capabilities for short and long term customer experience analysis. The immediate success of using the HappyOrNot Touch model at HVB has demonstrated that banks of all sizes can benefit from their use. “The new HappyOrNot Touch model enables customers to submit detailed comments directly at the point of sale while providing bank executives with valuable feedback in a timely and organized manner” ” says Ed Gundrum, CEO of DoublePort LLC, a HappyOrNot reseller primarily focused upon the marketing and sale of the terminals to the financial industry throughout North America. “It’s far better to obtain customer feedback while they are still in the branch office and be able to act upon issues promptly than it is to have those customers express their concerns publically via Bankrate or Yelp! HV Bancorp. Inc., a Pennsylvania corporation, is the holding company for Huntingdon Valley Bank, a community bank located in suburban Philadelphia, which has provided consumer and commercial banking services since 1871. HVB currently operates four full-service locations in Bucks, Montgomery and Philadelphia counties, Pennsylvania. HappyOrNot® is the global leader in instant customer and employee satisfaction reporting. 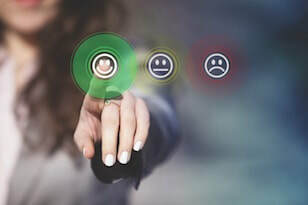 Our innovative feedback collecting smileys and intelligent data analytics reporting service help our clients to improve their customer experience, relationships, and employee engagement. We serve nearly 4,000 companies across 117 countries and have collected and reported on over a half billion feedbacks. DoublePort LLC is a global business development company that provides US direct sales, demand-generating marketing and enterprise level partnering for companies from Canada and Europe. For more information, please visit doubleport.com. May 11, 2017 (Marlborough, Mass.) — The Cooperative Credit Union Association (CCUA) is designing a new website with all the latest bells and whistles in order to better serve its Delaware, Massachusetts, New Hampshire, and Rhode Island credit union contingency. As part of the initiative, CCUA recently implemented HappyOrNot’s “Web Panel Smileys” on several of its current web pages to enable clients to rate their satisfaction level and offer feedback that will be useful to the new website. Within the first few weeks following implementation of the Smileys, several surprising areas for improvement were revealed regarding CCUA’s overall website, its careers page and its Daily CU Scan news bulletin. ​The HappyOrNot Web Panel Smileys enable users to vote on specific questions and to elaborate by submitting specific comments. Every morning, several key CCUA employees receive emails containing the previous day’s results expressed in highly graphical reports and also the user comments/suggestions. 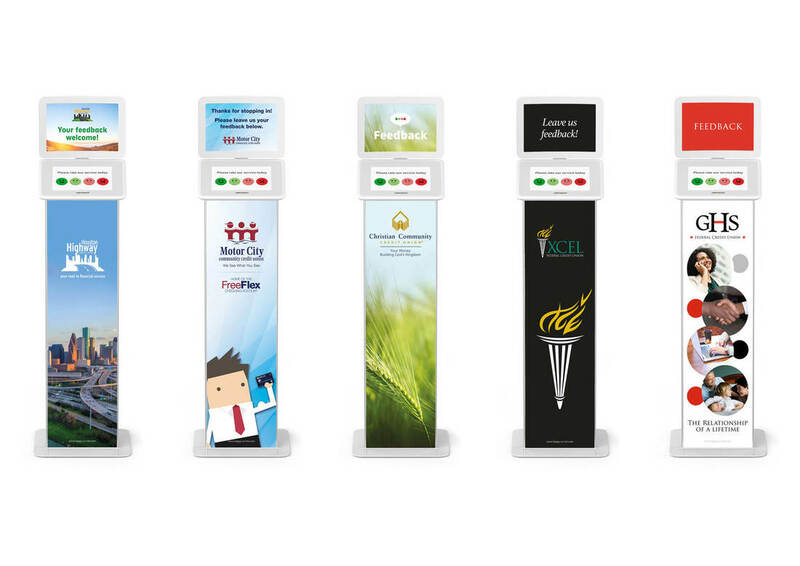 The Web Panel Smileys complement HappyOrNot’s member satisfaction terminals that Cooperative Credit Union Association has used at its conferences for the past three years to measure the effectiveness of speakers, agenda and vendor exhibit areas. CCUA also uses HappyOrNot kiosks to measure the effectiveness of regional training sessions that it frequently conducts throughout the four states it serves. The Cooperative Credit Union Association, headquartered in Marlborough, Mass., promotes the interests of nearly 200 member credit unions throughout Delaware, Massachusetts, New Hampshire, and Rhode Island. CCUA is, first and foremost, an advocate for its members before Congress and state legislatures, regulatory bodies and the public. In addition, it provides an array of services, including educational programs, workshops and conferences; a daily e-briefing on all the latest news and issues facing credit unions; and, through its CU Connect program—a select group of service providers—and a number of system partners, works to advance the availability of their quality products and services to its members. For more information, visit ccua.org. Members Advantage Community Credit Union Nears Perfect Member Satisfaction Rating. Members Advantage Community Credit Union Nears-Perfect Member Satisfaction Rating. Burlington, VT - Achieving optimum member satisfaction at Members Advantage Community Credit Union (MACCU) is a big deal, so in February of 2017 the credit union deployed HappyOrNot Member Satisfaction terminals at four branch offices, and HappyOrNot Web Smileys on five its web pages. The HappyOrNot terminals help affirm MACCU’s great in-branch service to its 16,000+ members with a near perfect 99% positive member rating for all visits. Members are utilizing the terminals at an average rate of 3,000 times per month which represents a 20 to 25% response rate. Additionally, the terminals are creating an increased level of proactive communications between branch managers, execs and employees. Complimenting the in-branch terminals are five HappyOrNot Web Panel Smileys that MACCU has deployed on individual web pages in order to solicit member feedback regarding its online services. The Smileys enable members to rate a particular item and to submit comments. The Smileys are reporting positive ratings and are generating feedback and suggestions from MACCU members. The credit union will be utilizing this valuable feedback for its new web design that it will be implementing over the next several months. “HappyOrNot’s systematic approach for both in-branch and online member surveys works very well for us” says Lindsay Hennekey, Marketing Manager at MACCU. “Our execs, members and board of directors are all very pleased with the results”. The HappyOrNot kiosks were purchased from and configured by DoublePort, LLC, an authorized HappyOrNot partner that specializes in the financial sector. MACCU serves over 15,000 members with $130 million in assets. Located in Barre, South Burlington, Springfield, White River and Windsor Vermont, MACCU has 5 branches and has served the community for more than 64 years. For more information, visit www.maccu.org. For more information, visit: www.happy-or-not. DoublePort LLC is a global business development, reseller and integrator of hi-tech products and solutions. The company specializes in wireless, telco, and media and entertainment verticals. For more information about how credit unions are utilizing HappyOrNot systems to measure and improve their member satisfaction please visit www.doubleport.com/news. As part of the mission of improving the customer experience, it is important to have measurement and monitoring tools in place that can provide real-time insights into metrics the customer finds important.